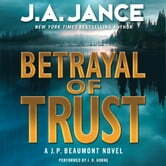 Betrayal of Trust is the twentieth mystery by New York Times bestseller J.A. Jance to feature Seattle p.i. J. P. Beaumont—and it is another surefire winner from the author the Chattanooga Times calls, “One of the best—if not the best.” When Beau discovers a snuff film recorded on a smart phone—a horrific crime that has a devastating effect on two troubled teens—his investigation unleashes a firestorm that blazes all the way up through the halls of Washington state government. 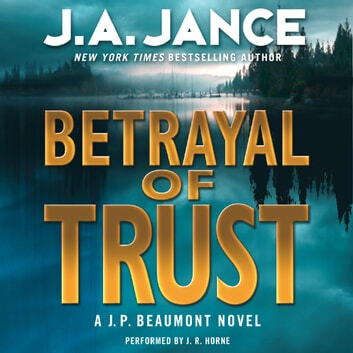 Betrayal of Trust is certain to win this phenomenal crime fiction master (“In the elite company of Sue Grafton and Patricia Cornwell”—Flint Journal) a wealth of new fans while enthralling the army of devoted readers already addicted to the potent Jance magic.